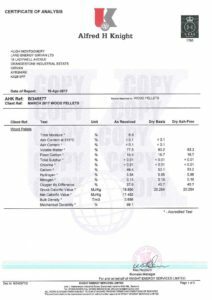 There are several ways that you can check up on the quality of the wood pellets you receive, firstly you can take a sample, either from the wagon when it is delivered or from your silo, but then you must pay to have it tested. 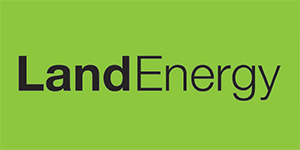 Alternatively, if you are purchasing Land Energy pellets you can ask us for our monthly quality report, which we publish online for you to look at or download. We think the second option is easier. You may be thinking, why would I want to look at their own report on their pellets, of course it’s going to be positive. Well in fact, we have misled you a bit; the laboratory reports that we publish are not the results from our own tests that we routinely carry out throughout our production process but from an independent third party laboratory. 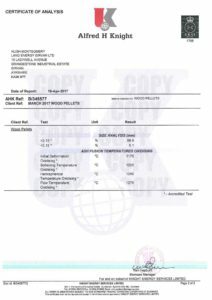 We simply publish the report we receive from them. You may wonder why do we do this. After all, we are not under any legal obligation to do so, it’s not an industry standard or even considered good practice to publish this data and as far as we are aware none of our peers do. We do it because we firmly believe that you (our customer) should know what quality of pellet you are purchasing. We also think it is important for you to be able to calculate what each Kilo Watt hour (KWh) cost you to purchase. The numbers are easy to do – if we consider our retail price at £272/t (note: per tonne not per pallet – another pricing trick to be wary of), that equates to 5.8p/KWh (at 4,700KWh/t). We’ve had several customers this past winter that have paid the equivalent of £240/t but measured actual heat values (via heat meters on the output) as little as 3,800KWh/t – a whopping 20% difference meaning they actually paid 6.3p/KWh. As such Land Energy is committed to delivering consistently high quality pellets to our customers, backed up by regular, independent quality reports, take a look below.